The former head of the New York City Housing Authority’s elevator division says he was wrongfully fired from the agency, arguing that there was no evidence he violated NYCHA’s anti-discrimination policies. Ivo Nikolic, who oversaw the elevator division from 2016, said he was initially suspended in February after an anonymous email sent to the agency from a purported employee claimed that Nikolic had engaged in sexist, racist and anti-semitic behavior. But following an internal investigation, the agency’s Department of Equal Opportunity found “no probable cause” to support that he “engaged in discrimination or created a hostile work environment on the bases of gender, race or religion,” according to a letter sent by the agency to Nikolic that was viewed by The Real Deal. The March 8 letter did, however, state the agency found “multiple credible reports of non-collegial management and interpersonal conflicts” between Nikolic and his team. He was fired five days later. Nikolic has since filed a notice of claim — the first step in filing a lawsuit against a government body — against NYCHA, and is demanding damages. His attorney, Marcel Florestal, said NYCHA’s letter shows his termination based on discrimination was unwarranted. Nikolic’s firing came at a time of upheaval at the agency. 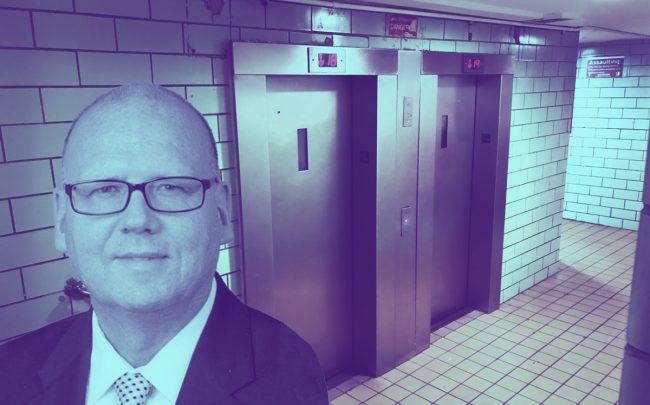 TRD chronicled the saga in a February report that found incidents in NYCHA elevators happened at five times the rate than other lifts in the city. News reports at the time of Nikolic’s suspension highlighted his role in overseeing the elevator division when three mechanics were arrested for falsifying maintenance reports, and the deaths of two people in elevator accidents. In an interview, Nikolic said that the agency was “in disarray” during his time there, and that last year the elevator division grappled with steep budget cuts; his staff dropped from 515 people to 435. Even so, he noted that the number of NYCHA elevator-related injuries dropped from 20 in 2016, to 7 in 2018.